Part of a well-developed residential complex located in Canacona, this is a modestly furnished one-bedroom apartment with all the essentials to make your stay a comfortable one. The room houses a double bed and a cupboard to cater to your storage requirements and the washroom is fitted with western sanitary ware. A comfy couch with a coffee table occupies the living area that opens out to a balcony providing scenic views of sprawling greenery. The kitchen is modular and equipped to facilitate basic cooking. The complex houses a swimming pool as well as a gym so that you can keep fit for the many parties that Goa has to offer. 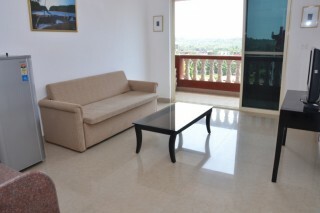 This property comprises of 1 bedroom and a kitchen for self-cooking. 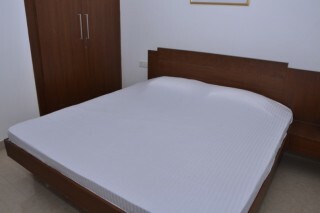 The rooms are spacious, clean, comfortable, well furnished and maintained. It has all the amenities to make your stay more comfortable and relaxed. There is an attached bathroom in the room. Enjoy the stay here to have a memorable experience. The apartment is equipped with a satellite flat-screen TV. There are a seating and/or dining area in some units. 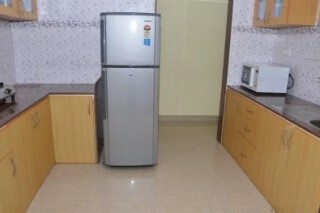 There is also a kitchenette, fitted with a refrigerator. There is a private bathroom with a shower in each unit. Towels are featured. Guests are requested to provide valid identification at the time of check-in. Car Rental can be provided.